What is the Gold Disk Program? The primary goal of the MTR Program is to save on cost through cost avoidance and reduce turn-around time from CCA diagnosis to repair. The goal has been more than successfully achieved and has become a model for other military installations looking to bring CCA repair in-house. For the FY14, the program yielded $37,163,983 in cost avoidance, with 8,367 repairs and 564 casualty reports. Since the program began in FY96, the cost avoidance for the Navy is $679.49 million, with the total funding for that period at $70.83 million. The return on investment since FY96 is $608.66 million. 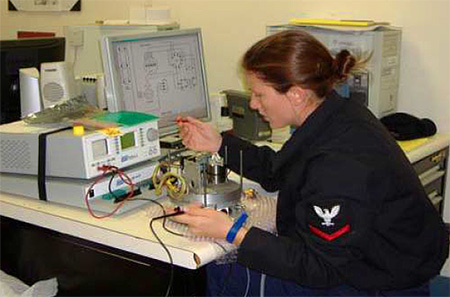 In FY 2011, the Miniature/Microminiature (2M) Electronic Repair and Module Test and Repair MTR Program won the DoD Value Engineering (VE) Joint Service Award award presented by the Office of the Secretary of Defense.